Diversity is something ILSC students and staff have the benefit of experiencing on a daily basis and in a variety of ways. Recently, we held an Instagram contest, encouraging students to show us how they represent their home country in their ILSC study city. We asked students to show us their #ilscDiverseCity (get it?) by uniting who they are with where they are, and we had some inspiring and wonderful stories shared. It allowed us to reflect on how important the value of diversity is to ILSC, and how it’s a vital aspect of our people, programs and places. In the end, it confirmed what we knew all along – ILSC is a place that respects, encourages and celebrates diversity! It almost goes without saying that one of the greatest benefits of attending ILSC is the diversity of its people. Both students and staff come from all over the globe: from Brazil to Ukraine, Korea to Mongolia, Japan to Spain– and everywhere in between. When people of other cultures and backgrounds come together, everyone receives the rewards, and by learning more of others, we, in turn, learn more about ourselves. People’s walls come down, and bridges are built. In any classroom at ILSC, you can find several countries and nationalities represented, all experiencing the same learning journey. Strangers become classmates, and classmates become friends, and we learn that at ILSC, similarities are shared, and differences are celebrated. It only makes sense that the ILSC’s programs and courses offered are just as diverse as the students. At ILSC, we believe strongly in a student-centred approach. This means that you are able to learn about things that are important to you, putting your interest’s first and giving you the independence to learn about what you want to. You’re unique, and when you study with us, you’ll be at the centre of an amazing experience that fits your personal needs, interests and study goals. 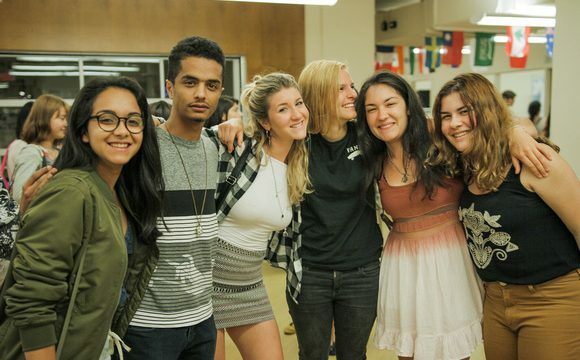 This is why at ILSC there is a varied range of programs offered, from English through Photography, to Social Media Writing, to Café Work Skills – and that’s just the tip of the iceberg. With over 130 programs and courses, you’ll learn English while learning about your interests, and most likely discover a few new ones too! ILSC first originated in 1991 in Vancouver, Canada. From there, and over the course of the past 27 years, it expanded into different parts of the world – 7 cities and 3 countries, to be exact. In the same way, that diversity in people can help us learn and grow, so can diversity in the places we study. ILSC founder, Paul Zysman, said it best in a recent interview: “By going to another culture, one really opens one’s self up to a whole new way of being and becoming – to different values, different languages, and different cultures. This is a very dynamic way of getting into that learning drive that we all have, and that’s how transformation takes place.” So whether you want to experience traditional henna tattoos in New Delhi, or try your hand at surfing in Sydney, you can. ILSC has made a mission to grow, so that no matter which location you study in, you can too. A simple browse of the hashtag on Instagram showed people from different corners of the world sharing a meal, students proudly waving their flag and classmates exploring a new city together. Throughout our Instagram contest, we were able to see each one of these types of diversity at ILSC: classrooms filled with all kinds of people, studying a range of different topics, in a variety of beautiful locations. Take a look at the slideshow below for just a few of the amazing submissions we received during the contest. Thank you to everyone who entered and for continuing to promote, support and embrace ILSC diversity. Want to come and add to ILSC’s diversity? Find out how here!